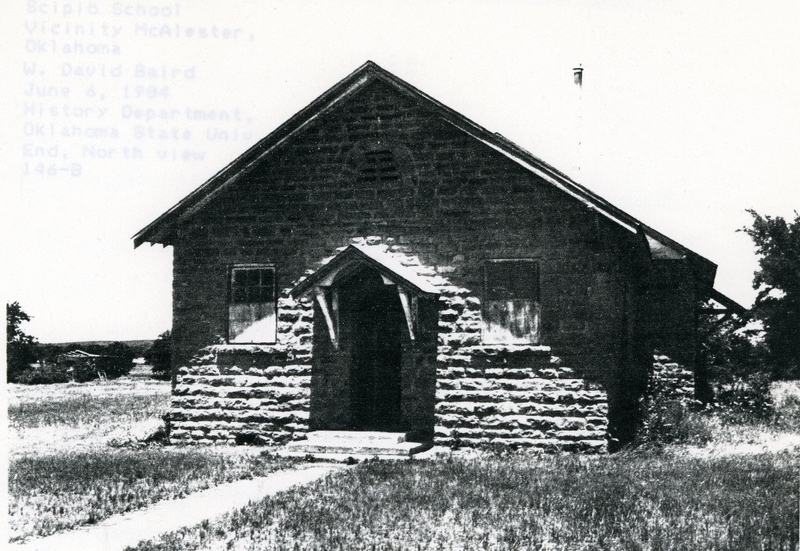 A two-room building, the Scipio school is a single story, rectangular (76′ x 26′) structure with an offset constructed of rusticated and coursed native sandstone. Masonry is rather crude. With a composition shingle covering, the roof is gabled with one step; two of three doors are recessed behind archways and are covered by small porches. Wood sash windows, resting on cut stone sills, on the west side reach to the eaves. 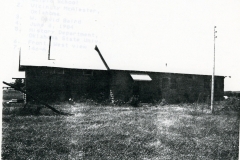 The school building is significant because construction of it was the genesis of modern education in the Scipio area, a rural and isolated region. Architecturally it is notable within the community in terms of type, Richardsonian influence upon style, scale, materials and workmanship. 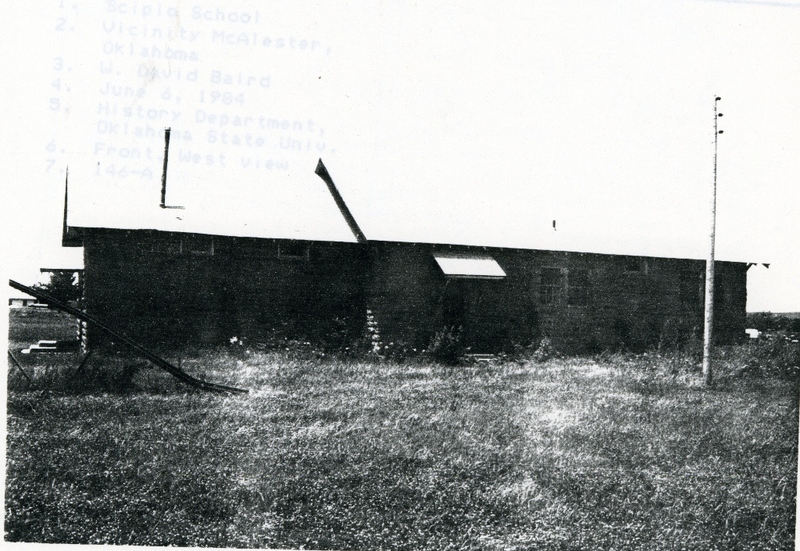 Construction also helped to alleviate the consequences of the depression of the 1930, providing work opportunities for unskilled and unemployed laborers long on the relief rolls of the state because of the closing of the coal mines. These jobs stimulated the local economy and rekindled individual self respect.